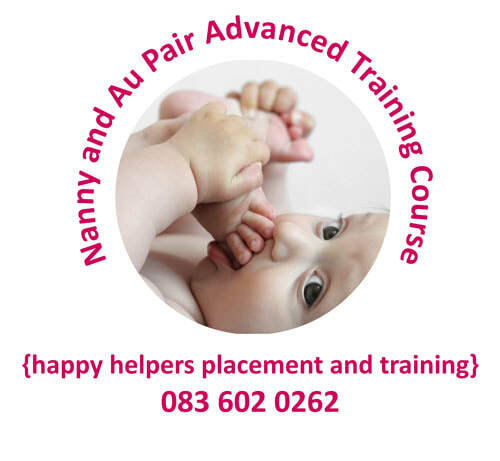 Happy Helpers Advanced Nanny and Au Pair Training Course? Please contact Alice on 083 602 0262 – you can also WhatsApp or SMS and I can call you back. I will book a meet with you and enroll you personally. from you and what we are offering. You sign a receipt to enroll into the class, and we record what you have paid. The course costs R2 495.00 per student. This gives you 6 full days of specialised training. 36 hours of training time. We encourage you to bring your own snacks and lunch. We have a kitchen and will supply tea and coffee, and other light refreshments. We look forward to meeting you and working with you to improve your Nanny and Au Pair Skills.